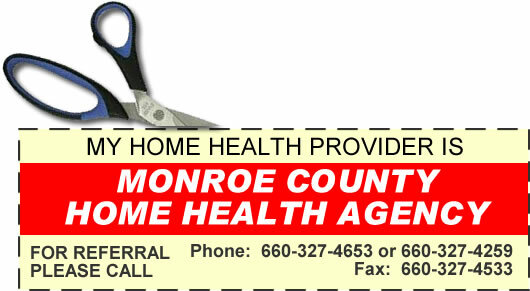 Monroe County Home Health Agency provides intermittent or part-time services in the home for homebound patients. The objective of this program is to enable patients who do not require full-time nursing care to remain in their homes. Care is given under the direction of a physician. We accept Medicare, Medicaid, VA, and some private insurance.